This article features pretty hairstyles for school that are effortless and perfect for busy morning when you feel in hurry. In morning we have limited time and large number of tasks to finish before school that creates hassle if we are are not proactive so it wise to decide before cute easy hairstyles for school that could make your day. 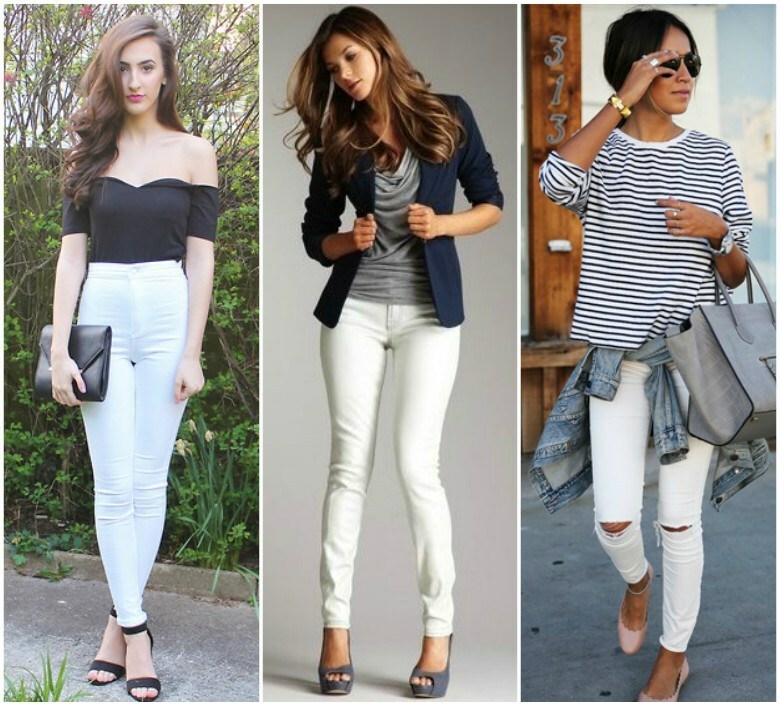 You may not afford luxury clothes and accessories but giving extra 5-10 minutes can make you look fashionable and extra chic. So no more worries! 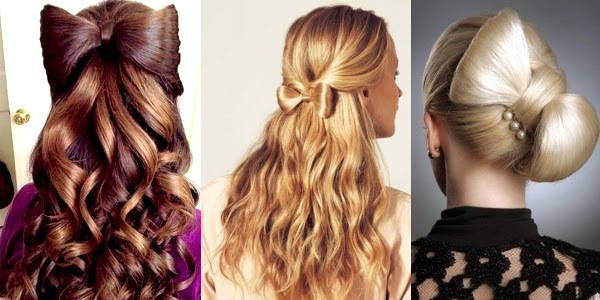 girls here I have compiled quick and easy hairdos, buns, braids, twist, pony tails that surely going to be your go to school look because this is going to save your precious time. 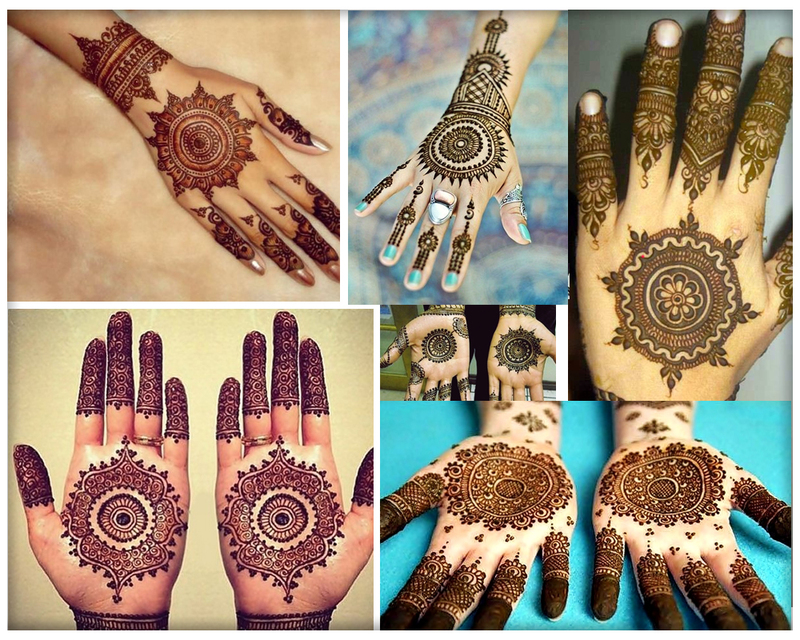 Hopefully all of you are back to school with lots of work load, studies and many other chores to do on daily basis. 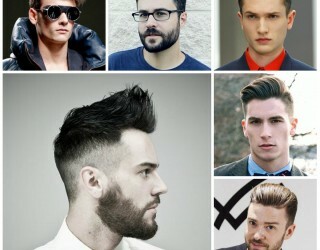 Morning is stressful time of the day when we are not planned at least you could kick out hairstyle from worry list by practicing different quick and easy hairstyles. Tune in to view how to make easy back to school pretty hairstyle for all hair lengths. 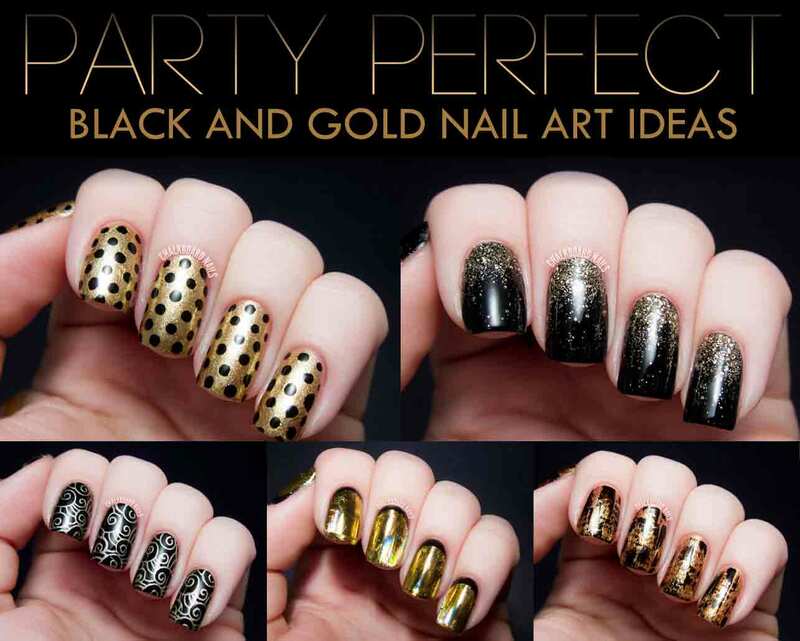 Also check out DIY nail art designs to make a style statement. 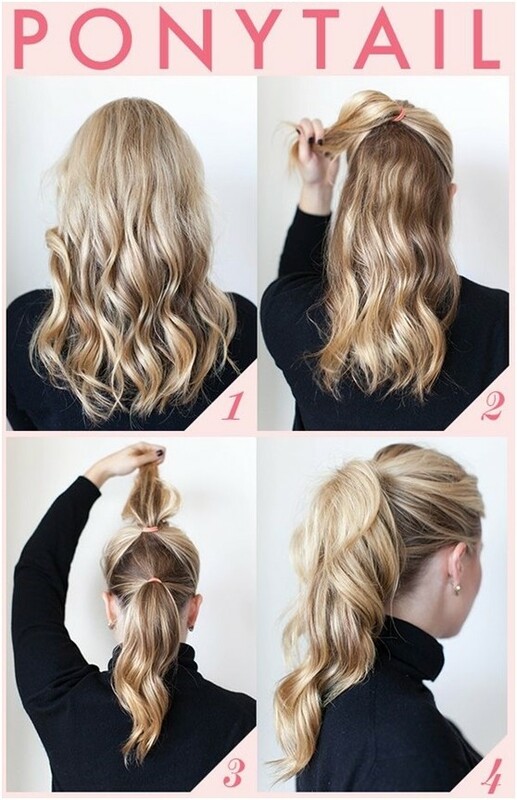 Cute and easy pony tail looks stunning if we try it with little variation. Ponytail is one of those pretty hairstyles that is suitable for every one for short hair, medium hair and long hair. 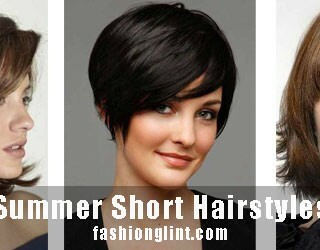 I think it is perfect for summer days but in winters you could be creative with casual ponytail like low pony with knot. 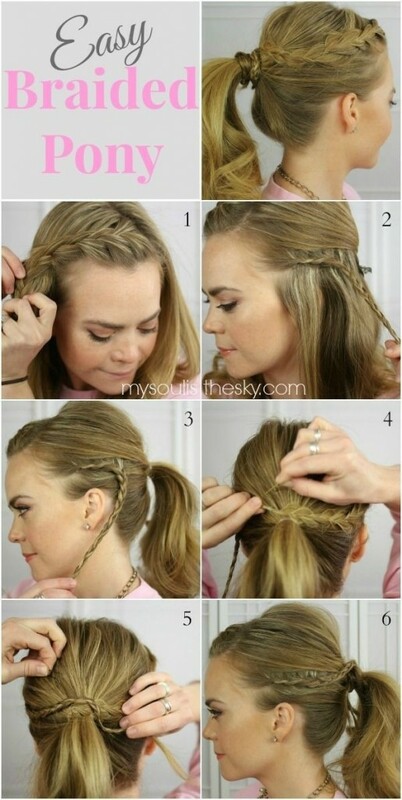 I bet by viewing and practicing these easy ponytail pictures you can do these hairs quickly. To make this you need; elastic band, boby pins, comb or hair brush. Casual fishtail looks common and boring so try to be creative with it like make half up fishtail braid, or side twist fishtail braid. 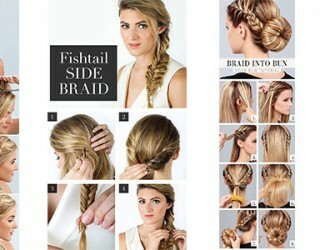 It looks complicated but believe me it’s quiet easy and try different ways of doing fishtail like shown below in images. To make this you need; elastic band, boby pins, comb or hair brush. 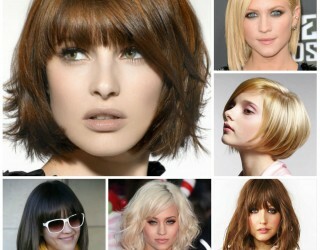 This hairdo is really cute and playful you can try this with different variations like shown in photo gallery. 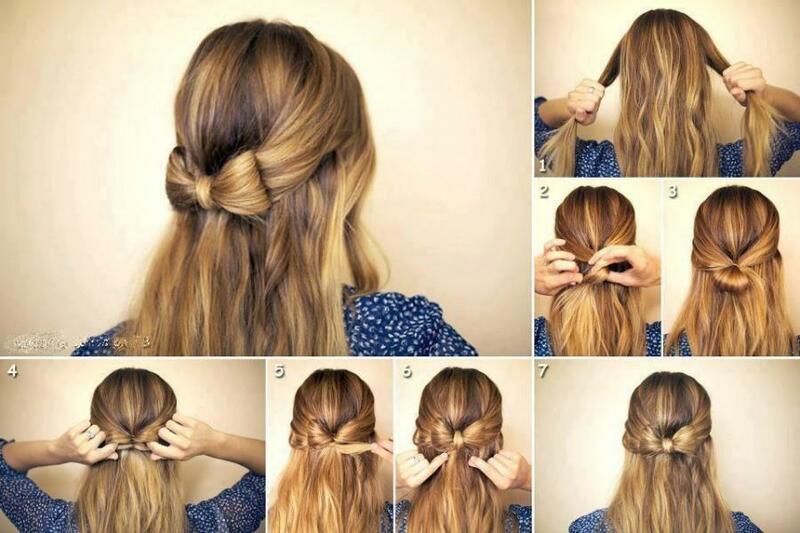 Watch a video tutorial below for cute bow hairstyle. Half up bun look trendy and it is really quick and easy to make. Honestly I feel like it’s not ponytail or nice bun but it looks great and super easy to do trust me it might take you to the next level. 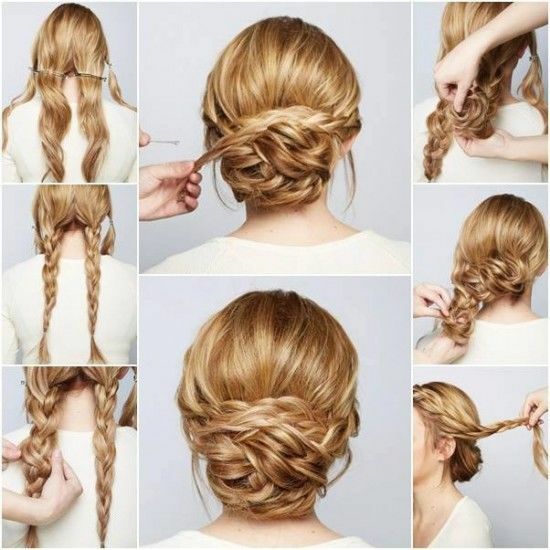 Braids are always in fashion and look gorgeous. 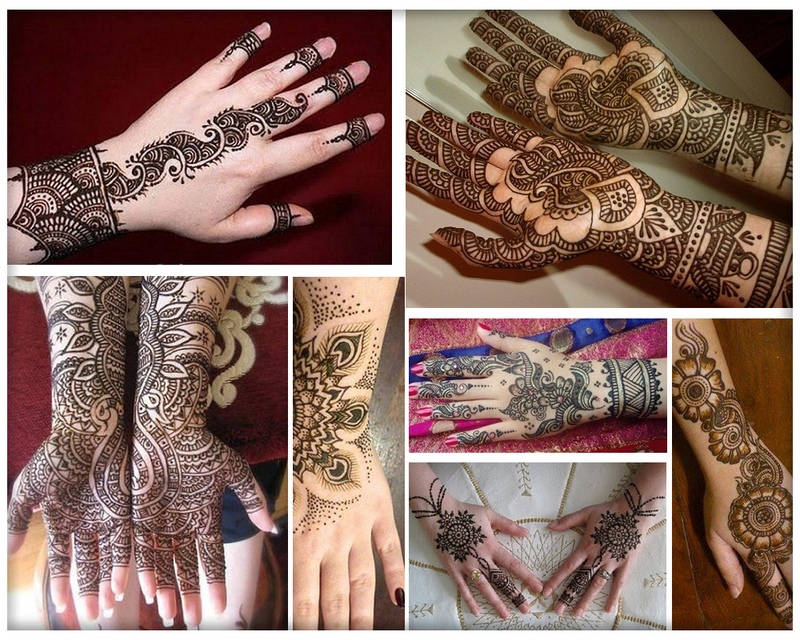 I am sure you know how to make different braids like french braid, lace braid, rope braid, fish braid, Elsa braid and many more. 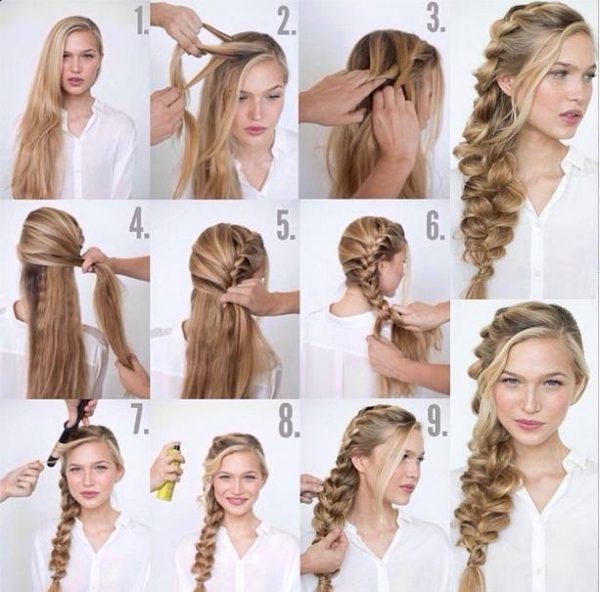 Just make a side braid by by keeping in view your face shape make it tidy or messy whatever suits you. 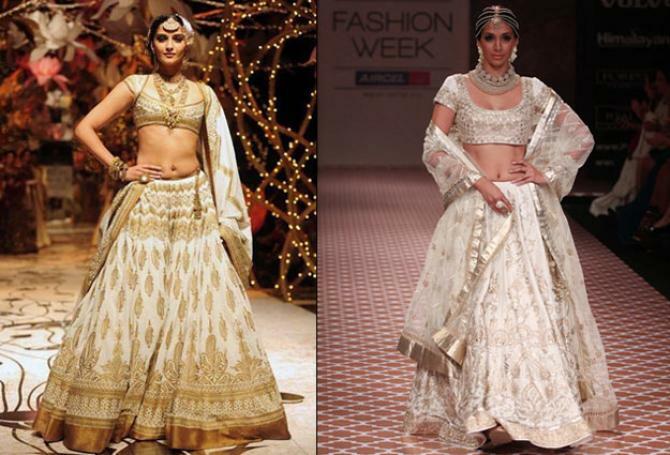 Low bun is one of the easiest way to achieve a chic look. 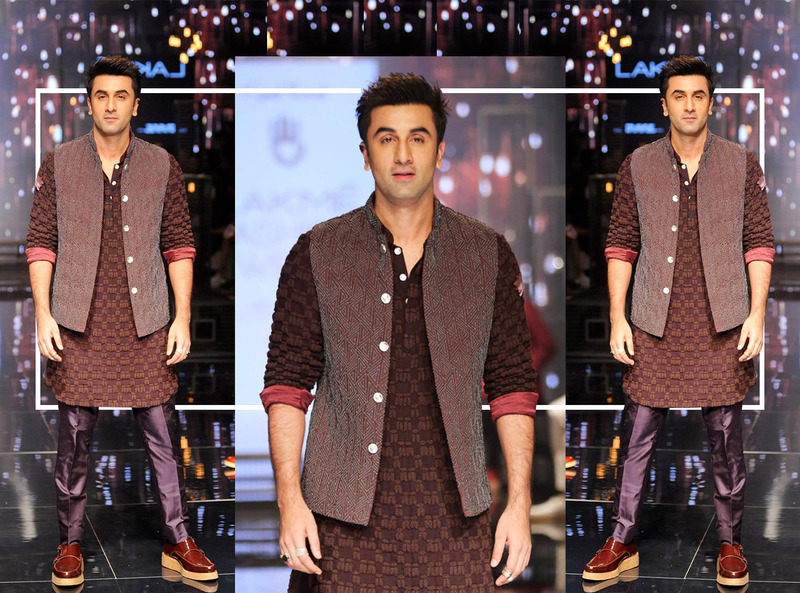 Try this one trust me you would love this look. A nicely done ballerina bun is one of the easiest way to get quickly ready in busy days. If you are unfamiliar with how to make ballerina bun practice it once before actually trying it and I bet you would love new this new cute hair bun if never tried before. 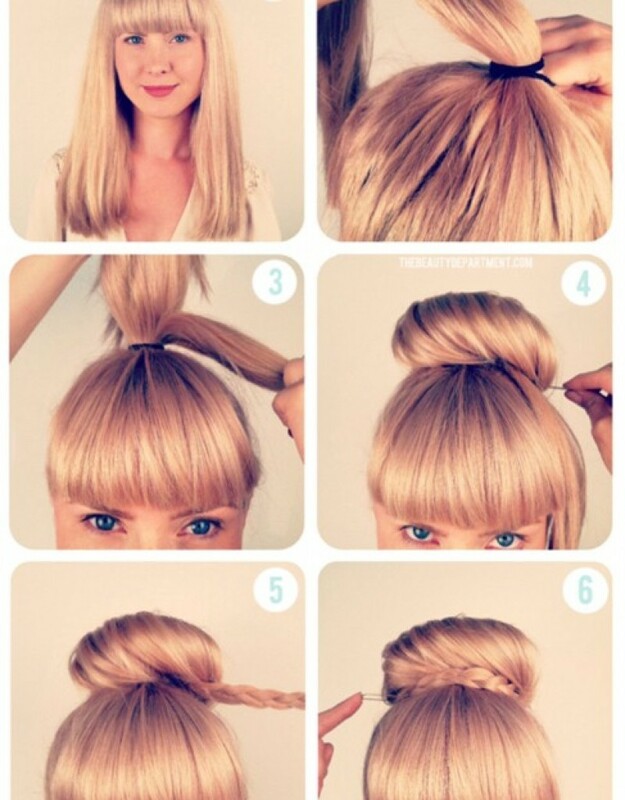 You need foam hair donut, boby pins, hair spray, hair brush and of course ballerina hair bun step by step tutorial given below.